Phanteks, the award-winning case manfacturer, is excited to announced the availablity of the new Eclipse P400 and P400S Tempered Glass.The Eclipse P400 and P400S Tempered Glass Editions will feature a full tempered glass side panel and will introduce two brand new Special Edition colors. The Eclipse P400 and P400S Tempered Glass Editions will be available in Satin Black, White, and Anthracite Grey. 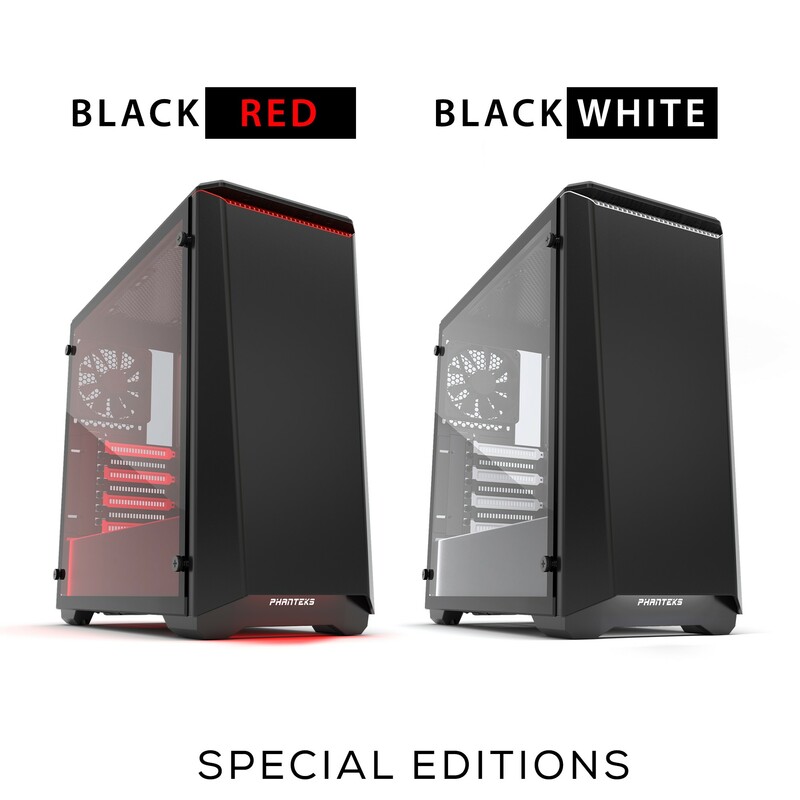 In addition to the standard colors, the Eclipse P400 and P400S Tempered Glass will also introduce two Special Edition colors, Black/Red and Black/White. The Eclipse Series P400 and P400S Tempered Glass Editions are compact midtowers that are easy for beginning PC builders that wants to create a clean and beautiful build. 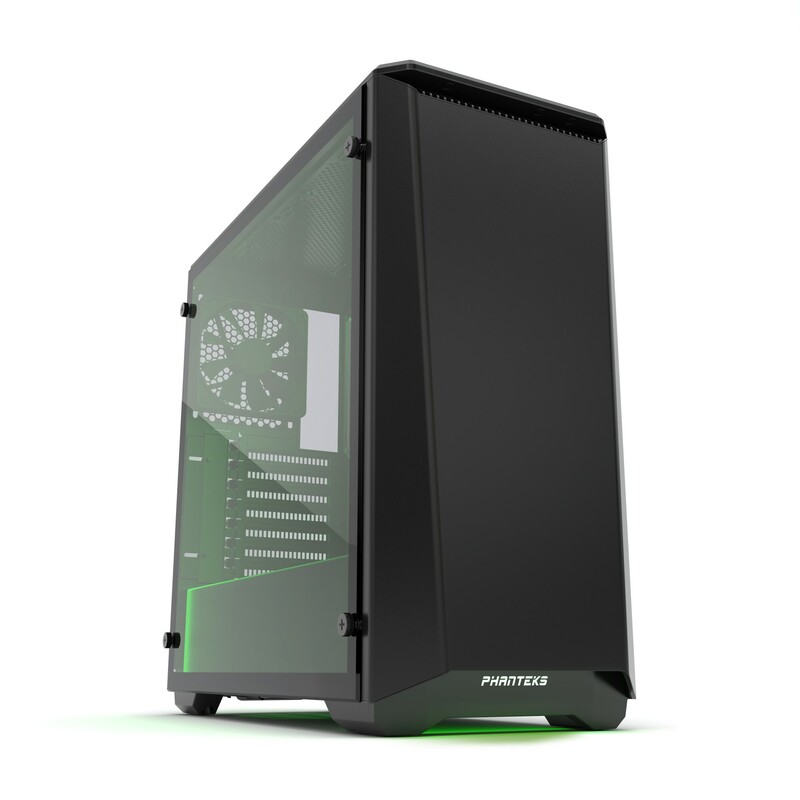 The P400 Tempered Glass Edition features a full metal exterior, RGB lighting system with color control, 1x RGB LED strip, removable dust filters, front all-in-one radiator mounting location, power supply shroud, 2x 120mm fans. While the P400S Tempered Glass Edition adds in the soundproofing layers and integrated 3-speed fan controller to the list of features included in the P400 model. The budget-friendly case now has a premium feel and look. With the full tempered glass side panel, enthusiasts can now showcase their system.